Denali Stud is pleased to currently have two Farm Managers of the Year as Gary Bush, our farm manager, also received this award in 2015. Donnie Snellings our yearling manager is the 2018 KTFMC award recipient. We are exceptionally grateful and proud to have such dedicated members of the Denali team. 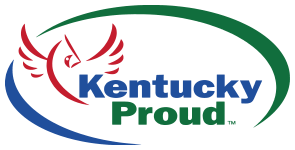 Donnie Snellings of Denali Stud has been named the recipient of the Kentucky Thoroughbred Farm Managers’ Club (KTFMC)’s 2018 Ted Bates Farm Manager of the Year Award, it was announced Tuesday. Seeking to identify an individual who exemplifies all the qualities necessary to be a consummate professional, leader, and role model within the industry and community, the KTFMC selection committee tabbed Snellings based on a career path which began at age 15. Snellings rode show jumping horses, hunters and steeplechase horses as a child and ultimately assumed a role at Spendthrift Farm at a young age. He worked at Spendthrift from 1981 to 1986 alongside his father, Don Snellings, before accepting a role as yearling manager at Strodes Creek Stud. He eventually moved on to Mill Ridge Farm, where he managed various facets of the operation for over 20 years. In 2009, Snellings became the yearling and sales manager at Denali Stud and has worked there ever since. Congratulations to Donnie on his well- deserved title!